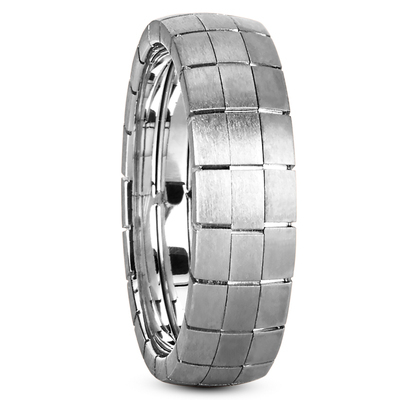 Our beautifully and carefully hand crafted wedding bands are as unique as your love. 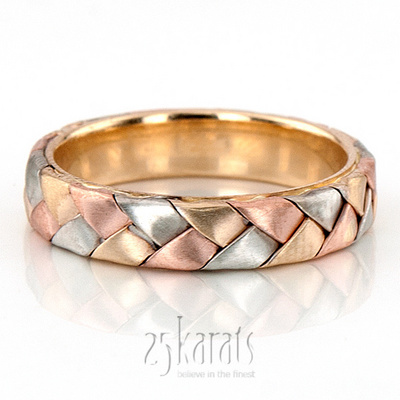 From contemporary to braided, religious and two-tone wedding rings, 25karats offers a large collection of handmade rings to remind you that your significant other is always there. 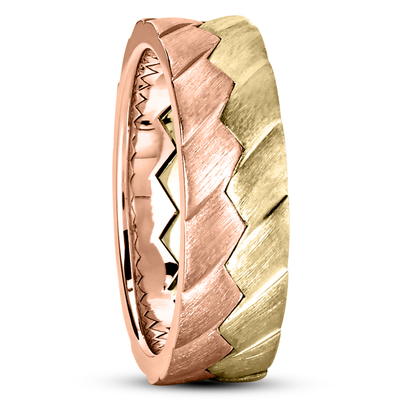 Unique and uncompromising, our handmade wedding bands are the choice for seekers of perfection. 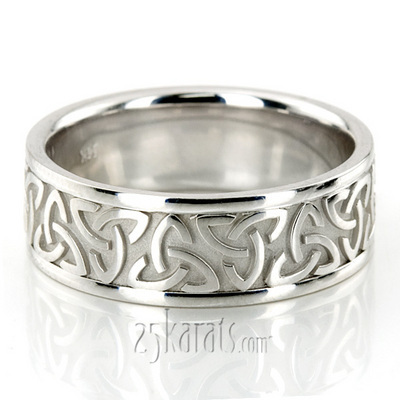 Handmade Celtic rings symbolize the eternal cycle of life and death, and connection between human and nature. 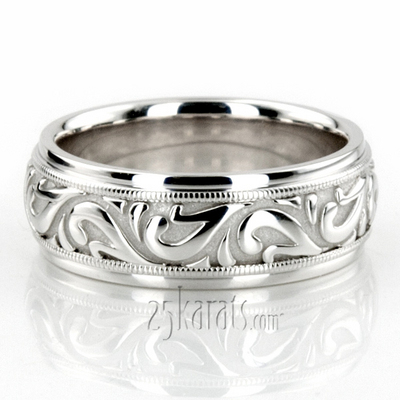 They have beautifully carved spirals and chains that will charm you at first sight. 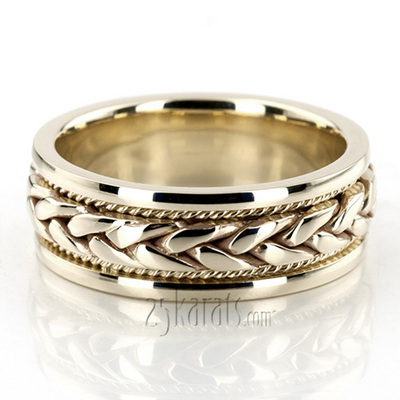 Braided hand crafted bands carry the tradition of ring making to modern age. 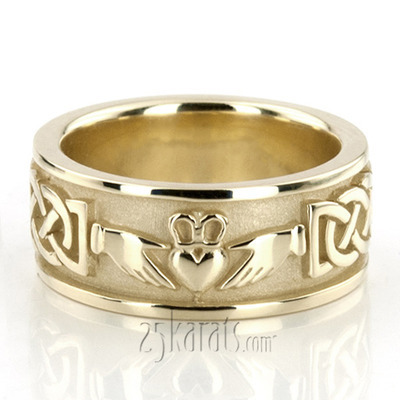 They symbolize the togetherness and eternity. 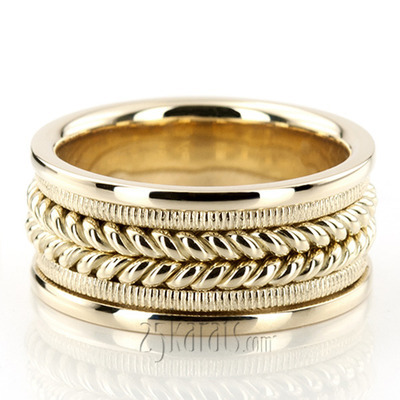 Each braid is woven by our jewelry experts to complete a gorgeous design. 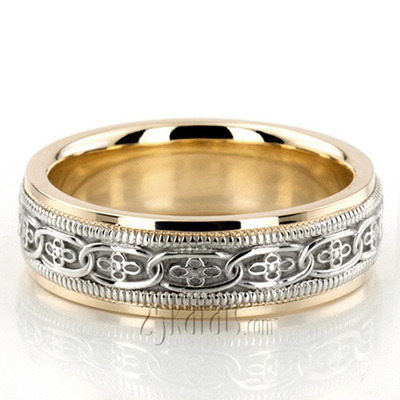 Handmade Antique rings, with their paisley and flower designs, bring back the beauty of the ancient ages to complete your wedding and marriage. 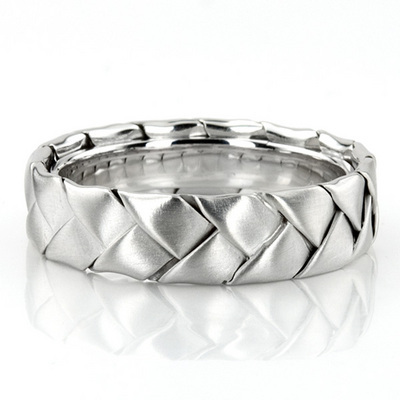 Each and every handmade ring is hand crafted with great care and skill. We strive to bring the best designs to life with precise machinery, and more importantly, talented hands. 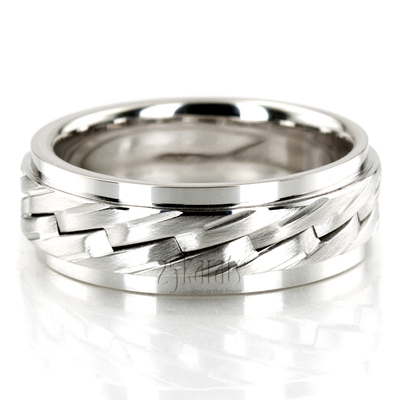 Every detail is checked to make sure you receive the finest quality hand crafted wedding band. 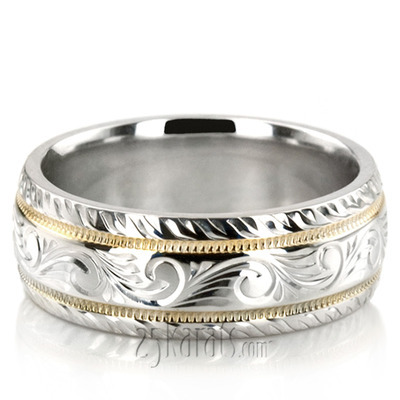 Our handmade wedding rings are available in 14K, 18K white, yellow, and Two-tone Gold, and also Platinum. They can be purchased as a set as his and hers. And our professional staff is always here to help you with any questions you have in mind. 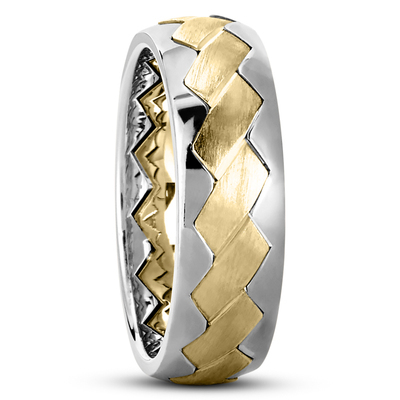 Indulge in the perfect collection of handmade rings! 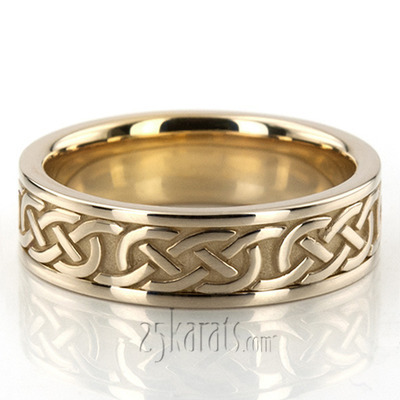 Whether you like traditional or modern designs, a lover of Celtic, Religious, or braided rings, you will fall in love with the beauty of hand crafted wedding bands.